Good morning ... It's Reddit, so I can't vouch for the veracity of every answer, but with that caveat, this is neat: People who were born deaf but later gained the ability to hear, describing sounds they thought were happening in the world and were surprised not to hear. My favorite: "I always assumed the sun had a gentle roar to it, like an engine idling in the background or a distant waterfall." Tech companies are launching a new partnership today aimed at better coordinating their respective efforts to help fight the opioid crisis. Federal regulators had criticized tech platforms over a proliferation of ads for illegal pharmacies. But the companies have done a lot to rein in those ads and to redirect users toward information about treatment when, for example, they search Google or Facebook for opioid-related terms. This isn’t really a crisis Silicon Valley can solve — addiction is an offline experience. But the industry believes it can help by pointing people toward treatment options and other partnerships, like a joint effort with the Drug Enforcement Administration to promote opportunities for patients to turn in unused or expired medications. Situational awareness: These companies will be discussing their efforts at an event today (part of which I'll be moderating), beginning at 10am. You can watch here, if you want to. 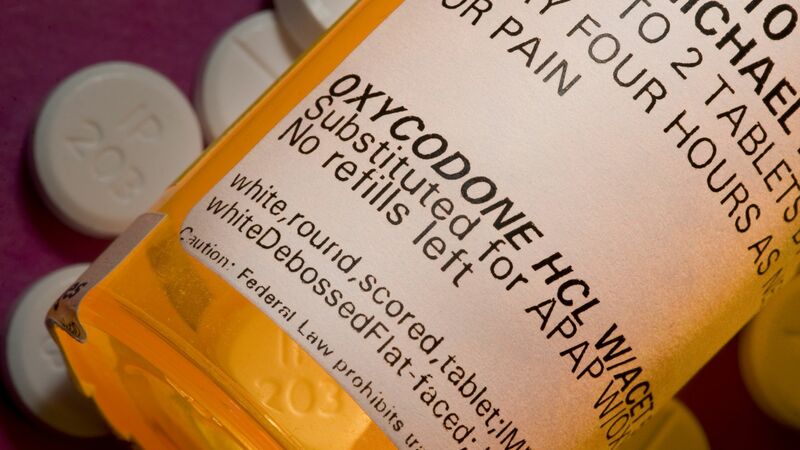 Separately, FDA Commissioner Scott Gottlieb is expected to fill out some more details today about the agency’s new guidelines for prescribing opioids. The agency will focus on the relationship between dosage and addiction, my colleague Caitlin Owens reports. What’s next: The agency has discussed requiring some common opioids to be offered in limited-dose packaging, more similar to the packaging for a course of antibiotics than a standard 30-day supply of pills. Driver, a high-profile startup that aimed to connect cancer patients with clinical trials, folded just a few weeks after its launch, STAT reports. “We ran out of money," CEO William Polkinghorn told STAT. Driver's app was marketed directly to cancer patients, not intermediaries like insurers or hospitals. And it cost $3,000, plus a $20-per-month subscription fee. There simply wasn't a big enough market for something that expensive. Flashback: "This warrants skepticism," Axios' Bob Herman said of Driver, back in September. The bottom line: Health care has consistently proven to be extremely hard to disrupt, primarily because it's so complex and highly regulated, and because being a patient is very different from being a consumer of just about any other good or service — which is part of the problem Driver ran into. So far, most of the plans taking advantage of the administration’s new rules at least claim to cover pre-existing conditions and comport with most of the ACA’s benefit requirements, even though they don’t always have to. Blink Health, a technology service that helps people find discounted prescription drugs, has appointed former Sen. Kelly Ayotte to its board of directors, Bob reports. She had been an adviser to the company. Why it matters: It never hurts to have a former federal legislator and New Hampshire attorney general on your side, especially considering drug prices will be a leading target in the new Congress. Blink Health also is in the middle of suing its former pharmacy benefit manager, MedImpact. By the numbers: This is Ayotte’s sixth corporate board position since losing her Senate seat in 2016. She sits on the boards of BAE Systems, Bloom Energy, Boston Properties, Caterpillar and News Corp. — making more than $1 million annually in cash and stock combined for those positions. Ayotte’s board position on Blink Health is paid, but the private company would not disclose the amount. Writing in the New York Times, health care economist Austin Frakt breaks down some of the reasons the U.S. spends so much more than European countries on prescription drugs, and why that spending spiked in the '90s. The big picture: It’s the prices. Between the lines: A specific class of new drugs can often drive up overall spending, and big coverage expansions also contribute. Spending spiked in the '90s partly because new treatments for cancer and hypertension hit the market, Frakt writes. Spending then leveled off, but spiked again in 2014 thanks to new drugs for hepatitis C and cystic fibrosis. What’s next: Scientific advances in one decade drive higher drug prices down the line, once they’ve been commercialized — which means we’re in for more big shocks to the system, as the industry tilts toward increasingly complex and personalized treatments. New cancer treatments like CAR-T already carry six-figure price tags, which will only increase as those drugs get more effective. If and when scientists develop a successful Alzheimer’s treatment, I have to think the price tag will be astronomical, given the number of people who suffer from Alzheimer’s and the amount of money drug companies have already spent on research. Well, this is bad: Only 26% of men, 19% of women and 20% of adolescents get enough physical activity to stay healthy, HHS said yesterday as it rolled out new fitness guidelines. The new guidelines say adults need 150 minutes of "moderate-to-vigorous aerobic activity each week," plus 2 days of muscle-building. That's about 20 minutes per day. By the numbers: Roughly $117 billion in annual health care spending and 10% of premature deaths are a result of Americans not getting enough exercise, HHS says.